The Saudi Housing Ministry will build 10,000 residential units in Jeddah. 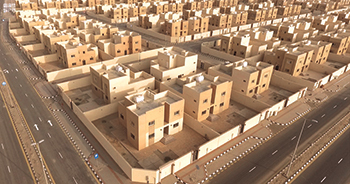 The Saudi Housing Ministry has signed two agreements with real estate development companies to build some 10,000 residential units in the city of Jeddah for beneficiaries of the Sakani (My Home) programme, said a report. So far, 46 projects have been launched, offering 66,621 housing units – including villas, apartments and townhouses – at prices ranging from SR250,000 ($66,620) to SR750,000 ($199,863), reported the Arab News. The housing units, which will have integrated services and public facilities, will be completed and given to beneficiaries within three years, it added.